John H began with a short demonstration of cleaning up digital transfers of LPs using the noise removal and repair effects of Audacity to remove noise and eliminate clicks from the transfer. He then did a presentation arguing that LyX outforms any other software in document production though there are a few uses cases for which it is not suitable. [ ] The Home page with the chat line in use. 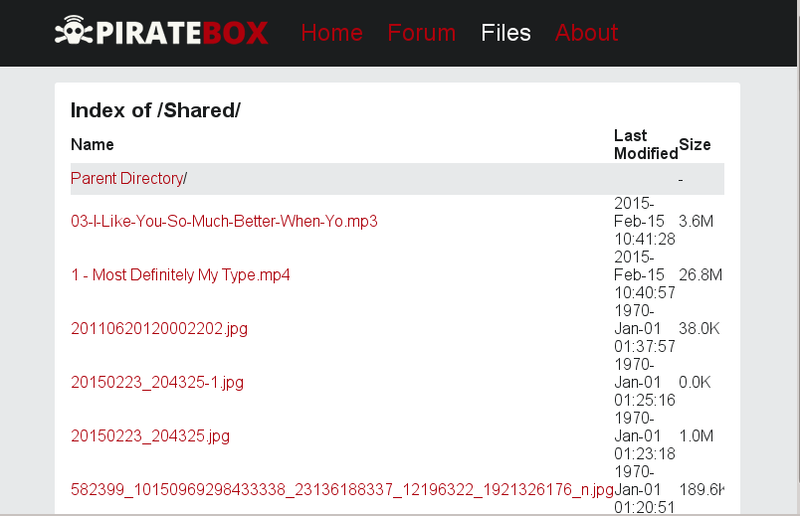 [ ] Some of the files uploaded for sharing. 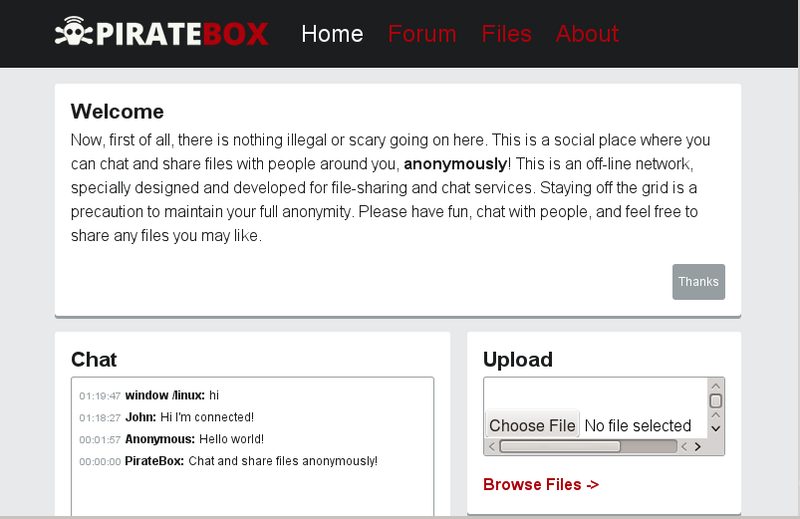 When someone connects to the Pirate Box wi-fi it takes over the browser they open offering the chat line and the option to share files; it is ideal for groups who wish to share without connecting to the Internet. Alice also shared Dead Drops, the project to provide anonymous file sharing by cementing USB flash drives into walls, and we watched the video. David S drew our attention to the story that the New Zealand Prime Minister has retracted his vow to resign if New Zealand had been involved in mass surveillance. He also noted that though Gemalto has denied that NSA and GCHQ had stolen USB keys, the Gemalto chairman Alex J. Mandl had a role in the CIA venture capital firm In-Q-Tel. Finally, he noted the case by Christoph Hellwig alleging that VMWare is in violation of the GPL.